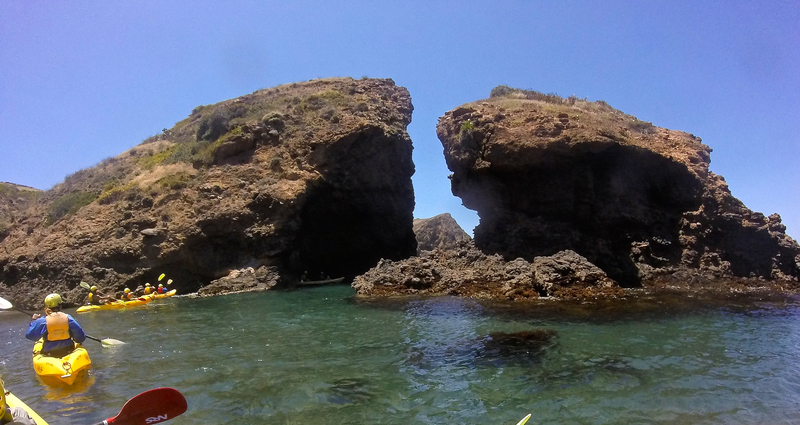 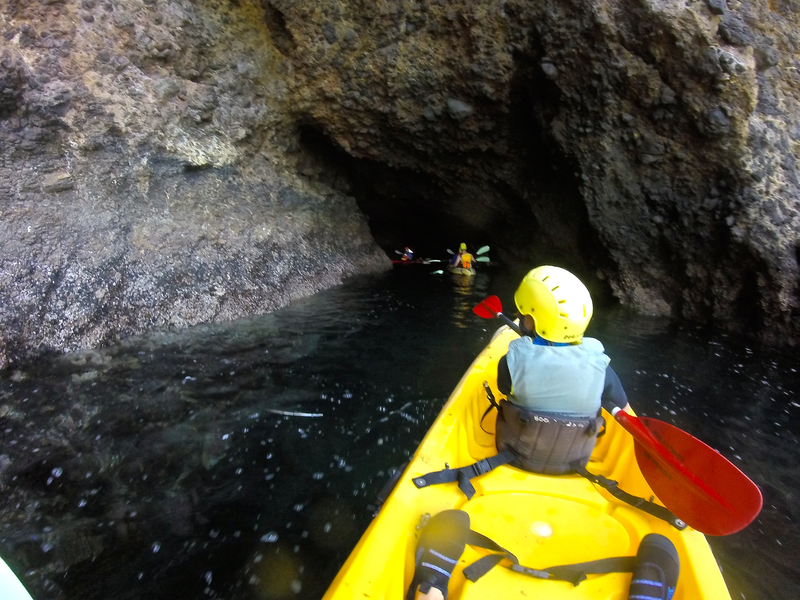 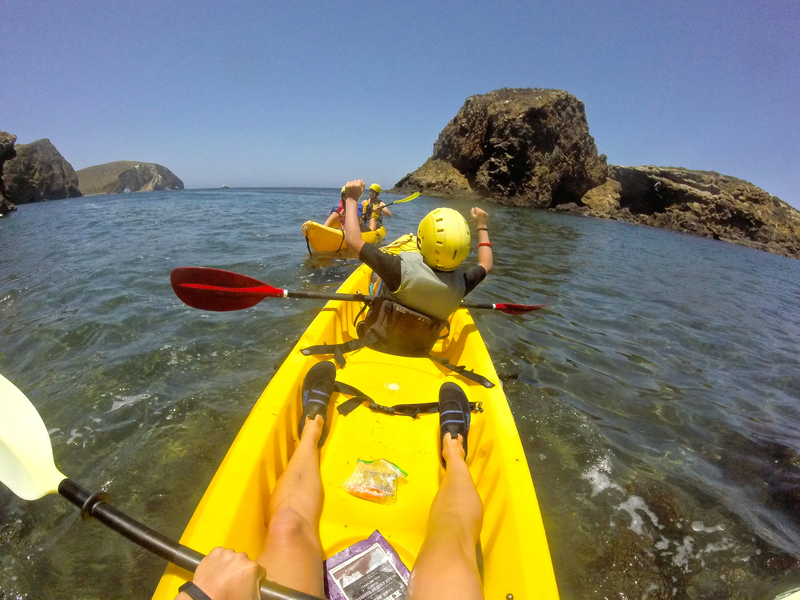 During our camping trip to Santa Cruz we decided to take a kayaking tour around the island, exploring caves, admiring the beautiful scenery, learning about the history and geology of the island, and spotting wildlife in and out of the water. 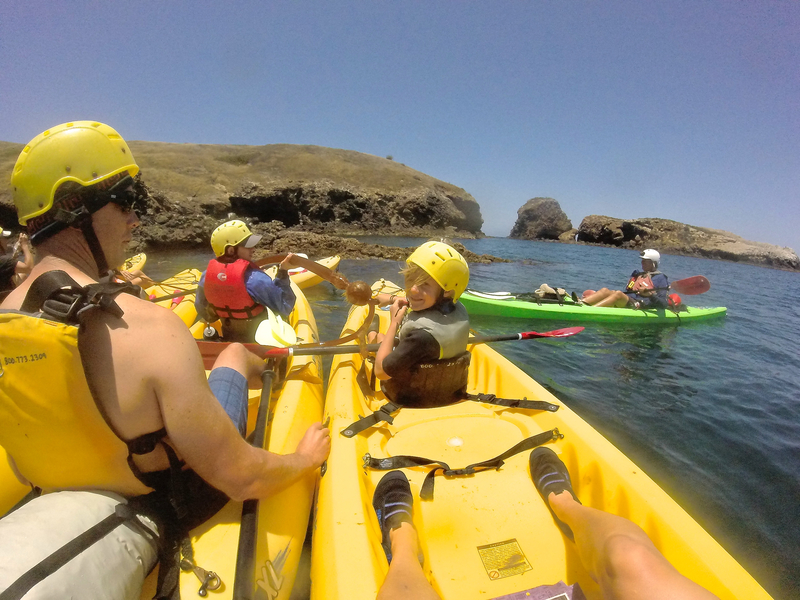 Lucky for me, my nephew, Lucas, decided that he would love to go kayaking with me. 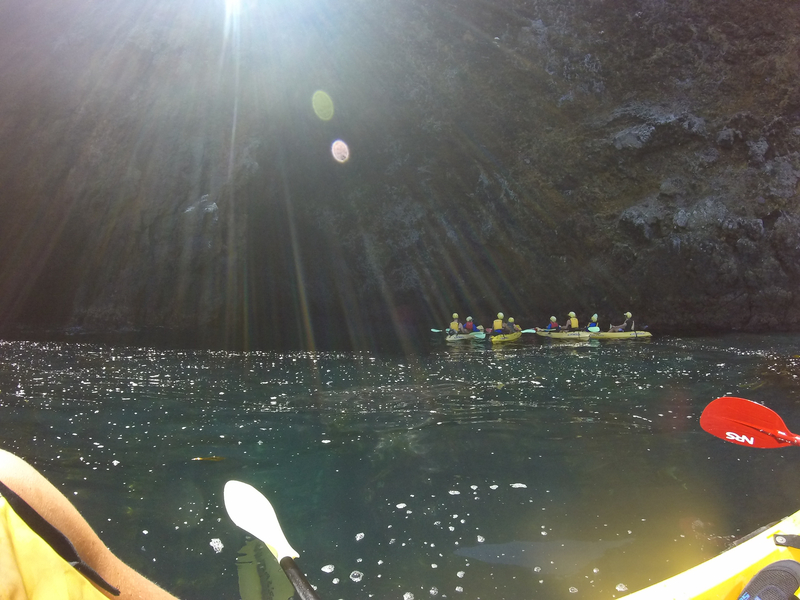 We listened to the orientation, and then hopped into our double kayak to start cruising around the island. 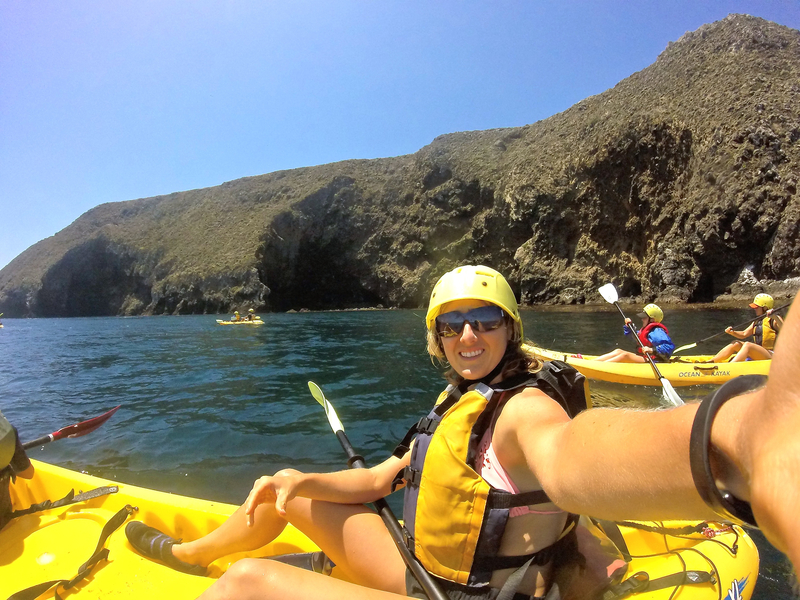 Although my arms were couldn’t move for the remainder of the day following our kayaking adventure, it was truly an epic experience, and one I will not soon forget. 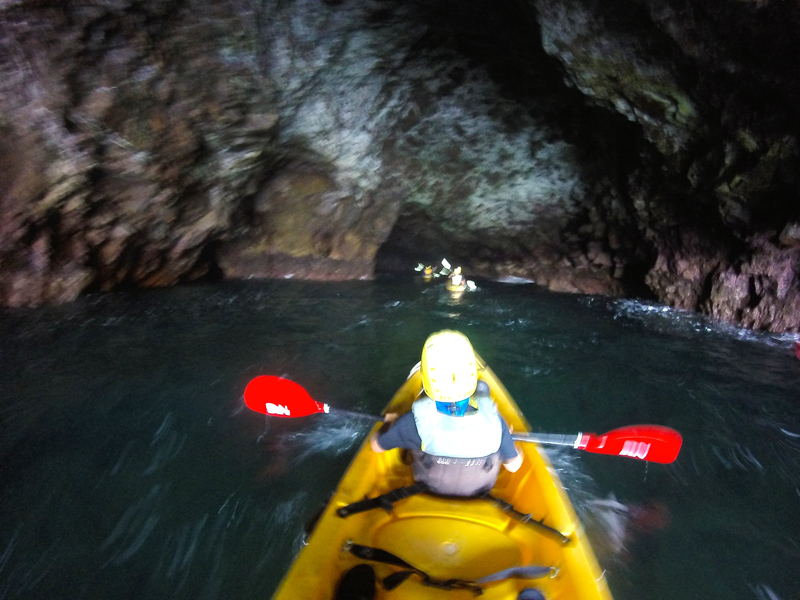 Navigating in and out of the caves was thrilling and beautiful. 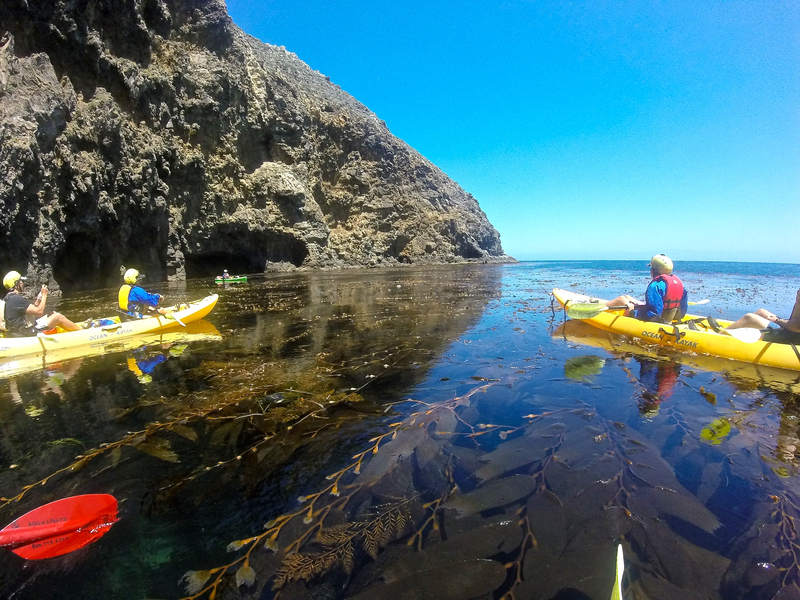 The clarity of the water around the island is so incredible, you could see wildlife under the water from sitting in the kayak. 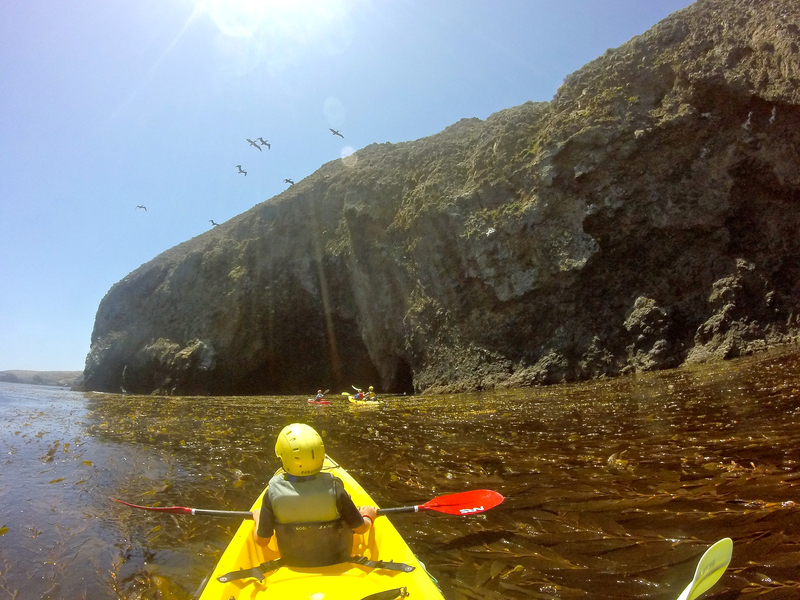 We got a visit from a curious and brave seal pup right off the side of our kayak. 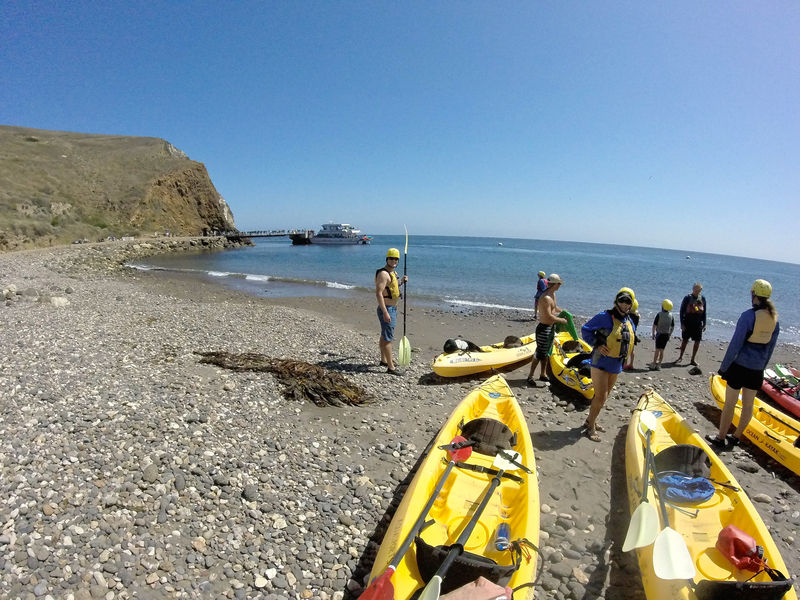 We also learned a lot about the interesting history of the island and its change from a Native American hunting ground to a private ranch, and finally to a National Park. 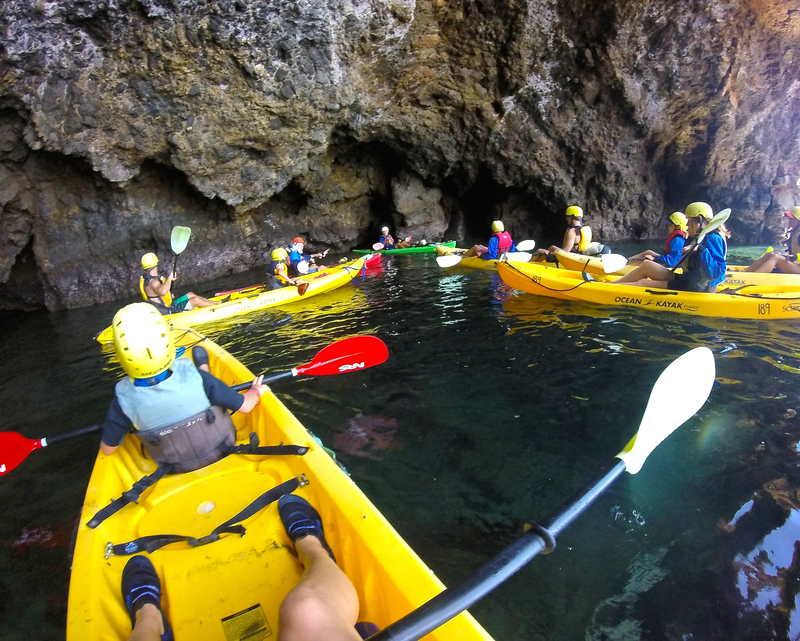 The tour company we booked this excursion with was called Aqua Sports, and they were great, however, I can’t really compare to the other tours aside from that they went a similar route as we did along the island, but didn’t seem to see quite as much as we did. 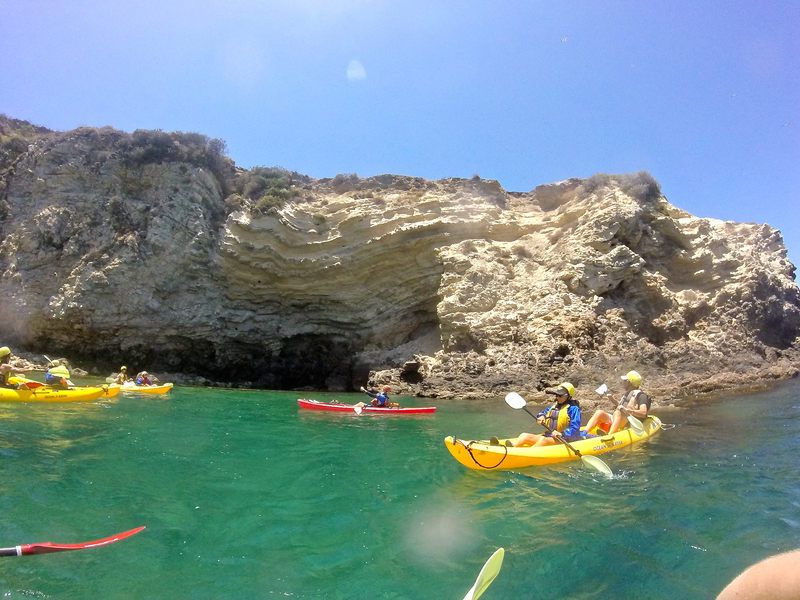 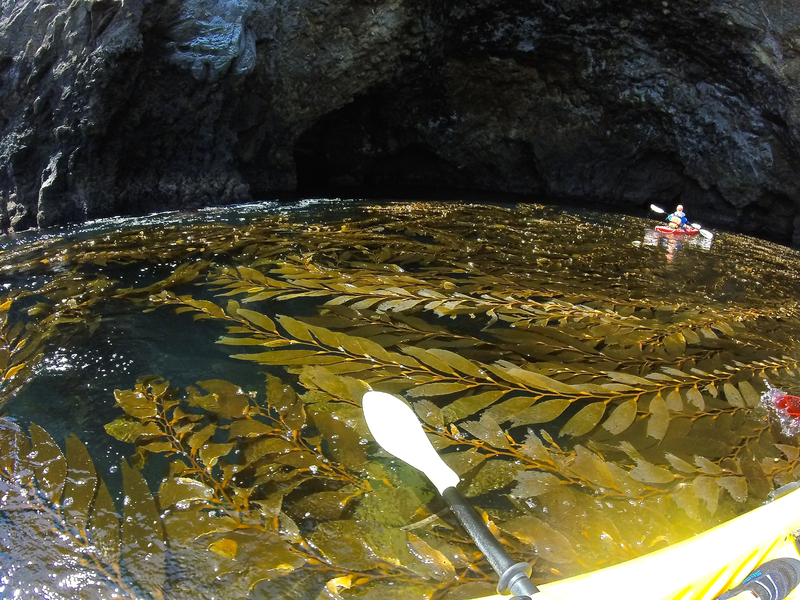 The other tour companies include Santa Barbara Adventure Company and Channel Islands Kayak Center. 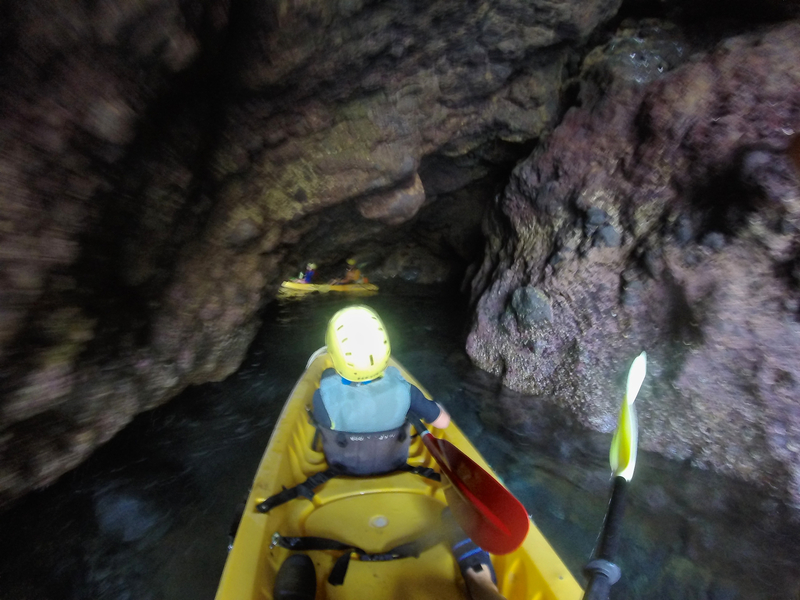 Another more budget friendly option for kayaking can be to rent or bring your own kayak over on your ferry. 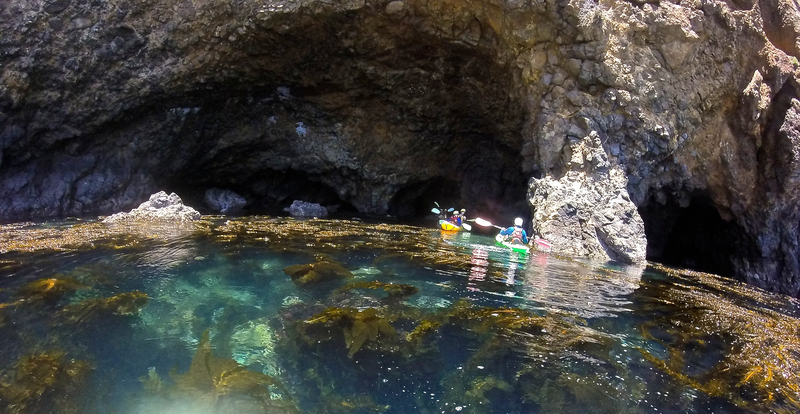 The most convenient option would be to rent from Island Packers. 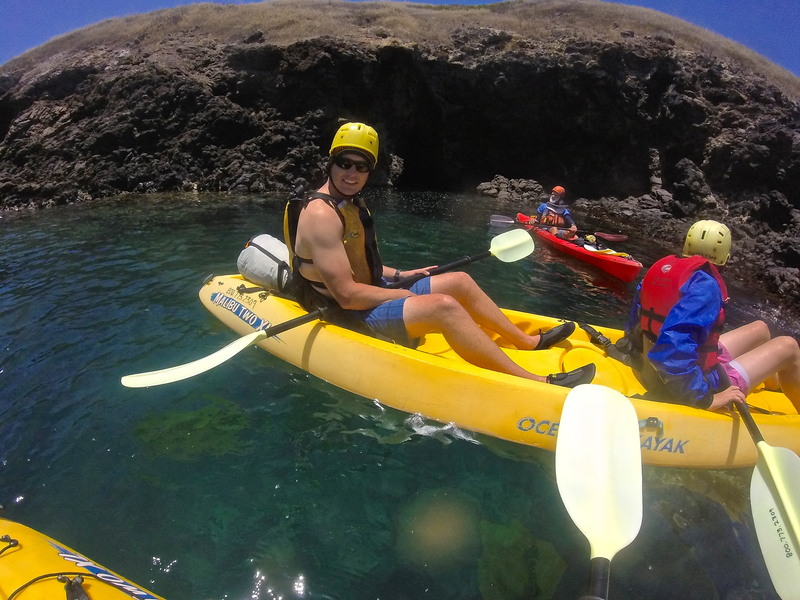 They do charge a small fee to transport the kayaks to the island, so if you rent kayaks, you will have to pay the cost of the rental and the cost to transport them as well. 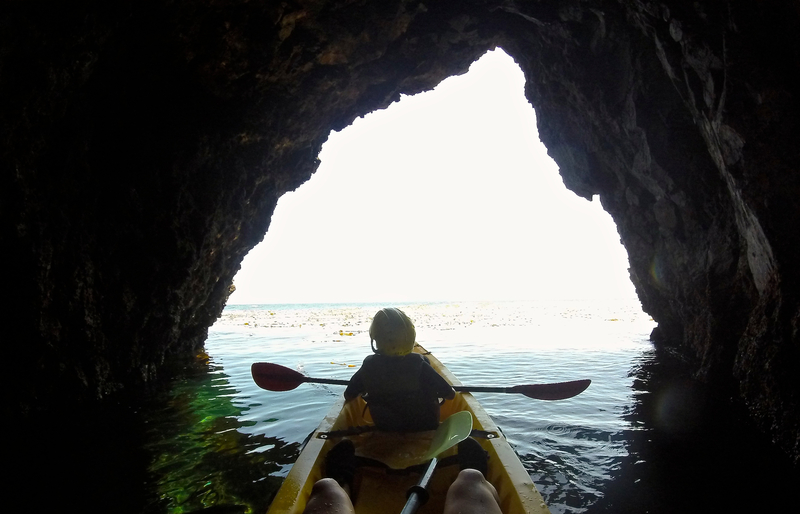 If you’ve never kayaked around the islands before, it’s definitely worth it to have the guides’ extensive knowledge of the island and the experience of navigating through the caves, as the tides can make it quite a challenge to get into and out of some of the caves. 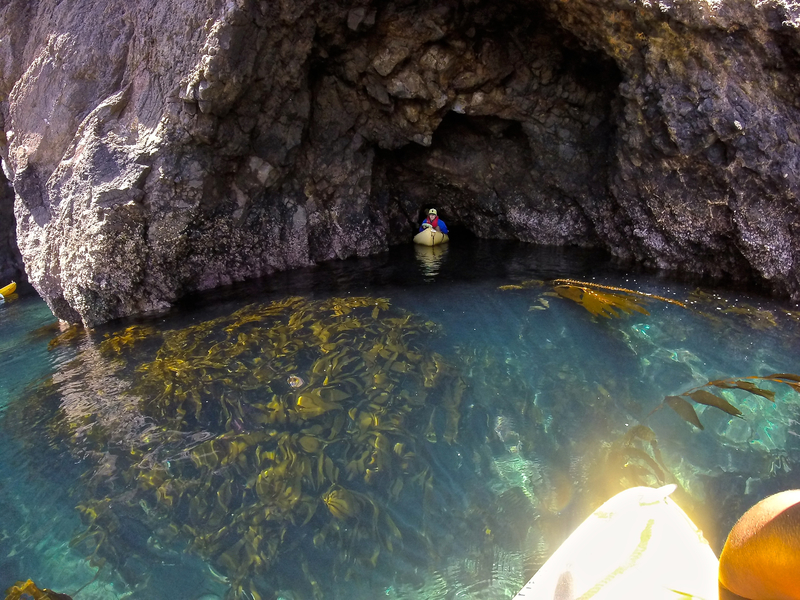 During your visit to the Channel Islands National Park, I highly recommend spending some of your time out in the water around the islands. 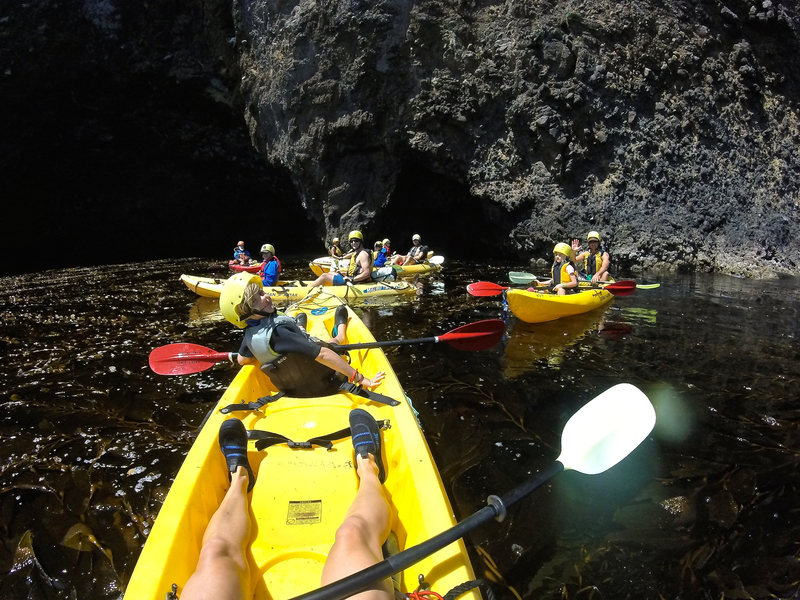 It’s truly an awesome experience.